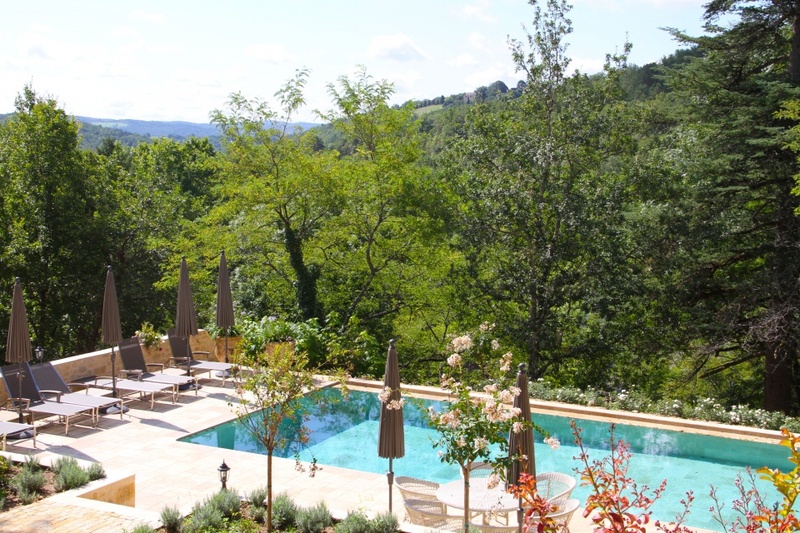 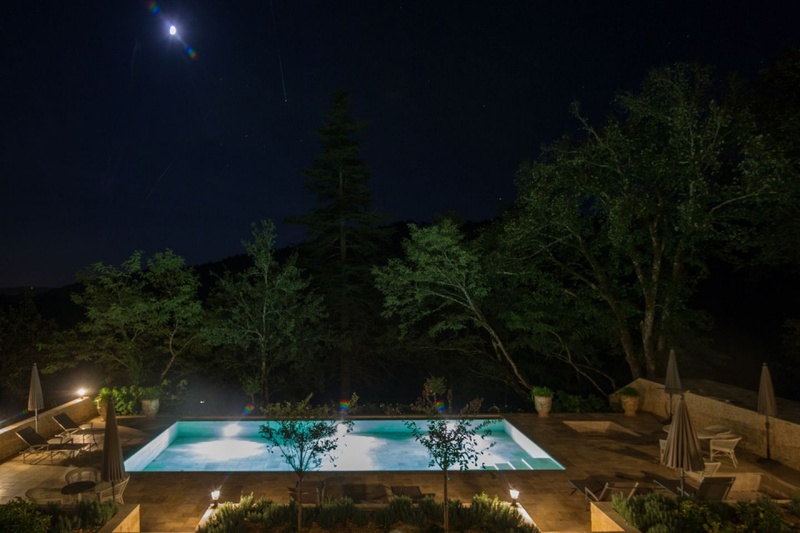 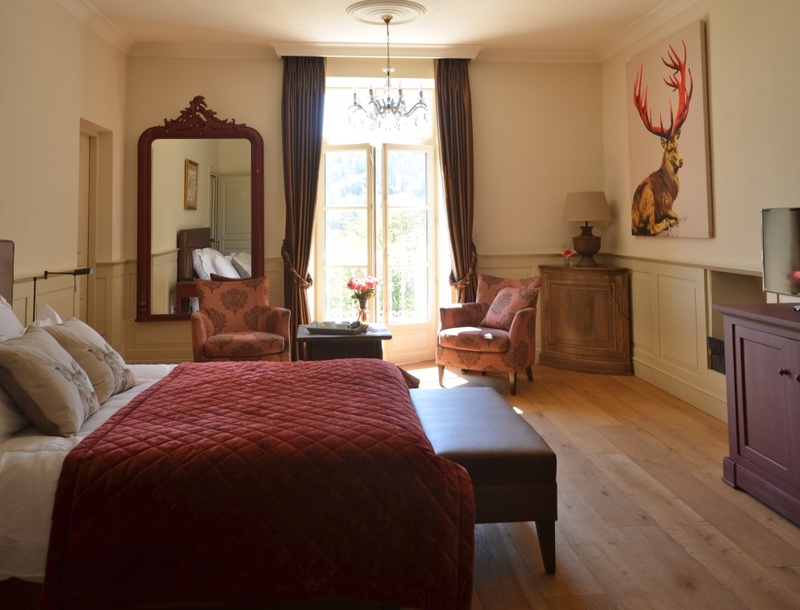 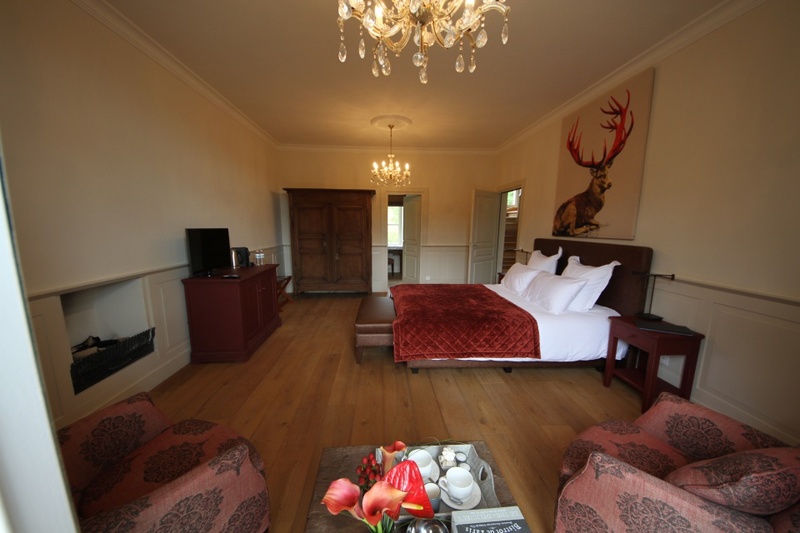 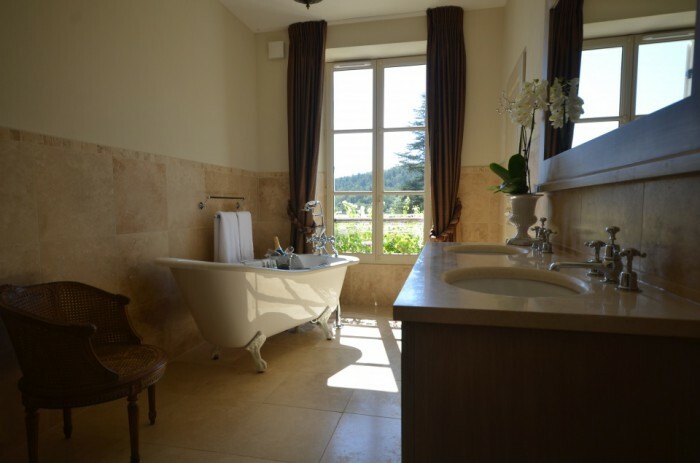 Chambre du Cerf is our parental suite with double bed ( 160 x 200), sitting area, mini bar, fireplace, Nespresso machine and hot water kettle, television, WIFI connection, a splendid bathroom and a balcony with magnificent views across the swimming pool and valley. 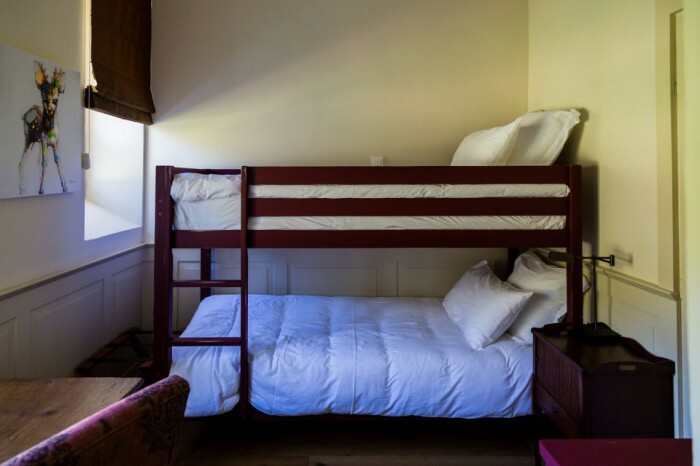 A connecting room with bunk bed sleeps two children and has its own private bathroom and television. 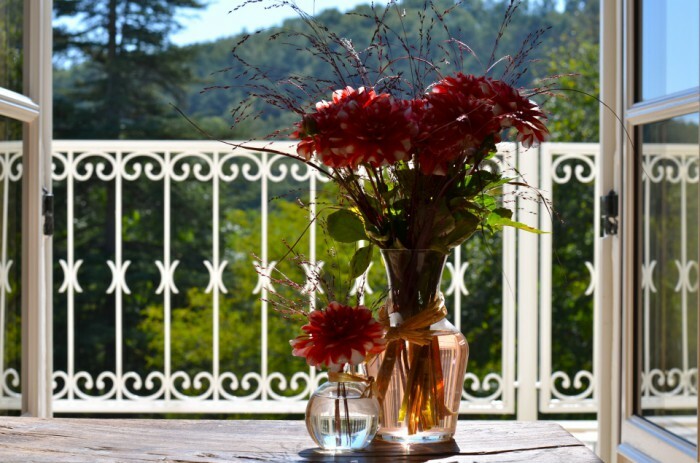 Enjoy your aperitif in front of the fireplace or on one of the terraces overlooking the valley.